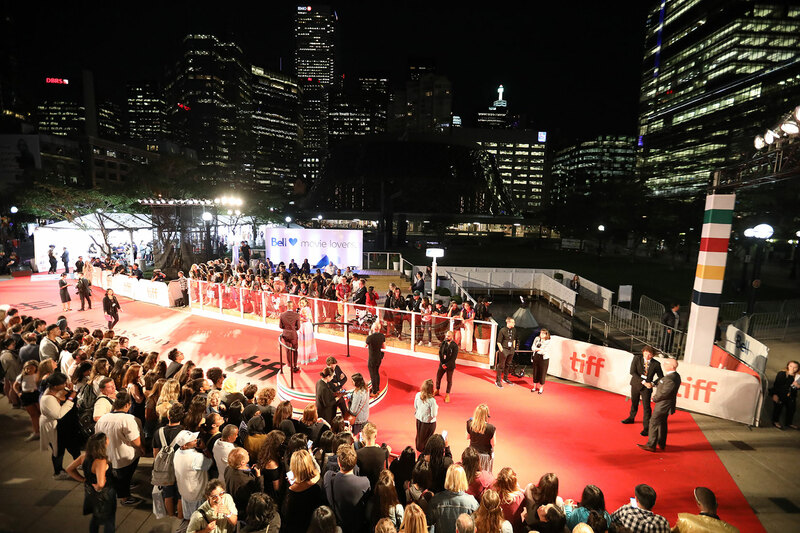 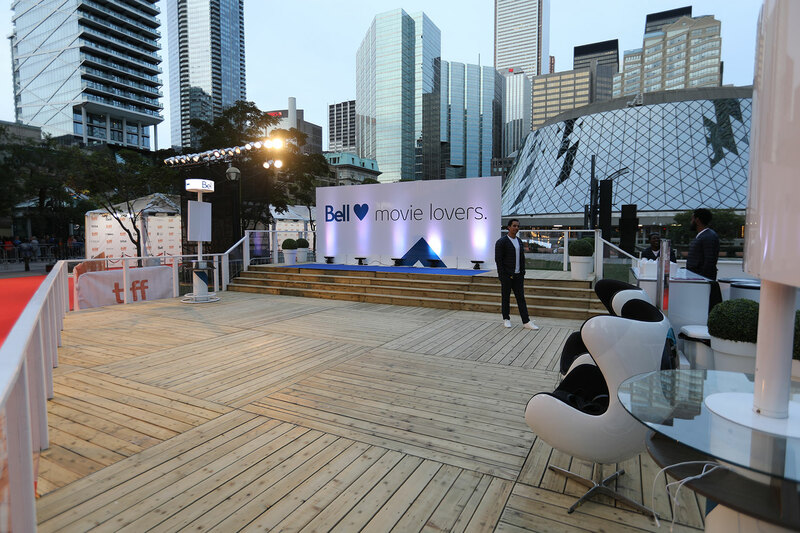 For Tiff 2018, Bell elected to show off its products in the thick of the action, this year on the sidewalk on KIng St. near Roy Thompson Hall adjacent to the festival’s epicenter at David Pecaut Square, where festivalgoers would gather on their way to see films after the red carpet activities were over. 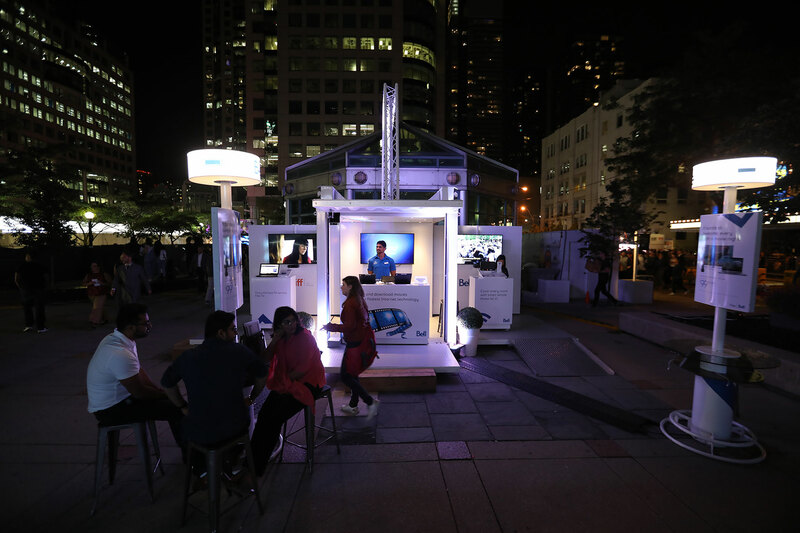 Produced in conjunction with the Momentum brand experience agency, the marketing activation centered on a Loki Box Design BB10 pop-up event unit with its fold out wings, where there were product demos, free popcorn and drinks, recharging stations, VR chairs, Bell furniture where weary festivalgoers could take a quick break and more. 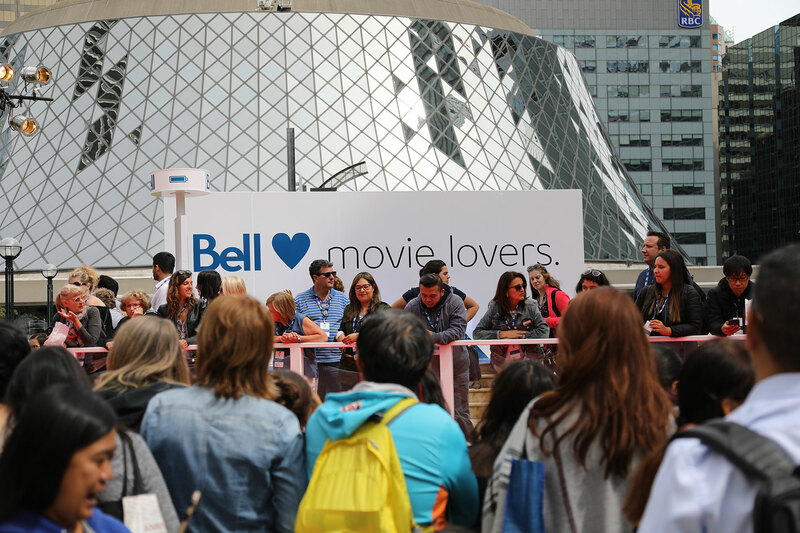 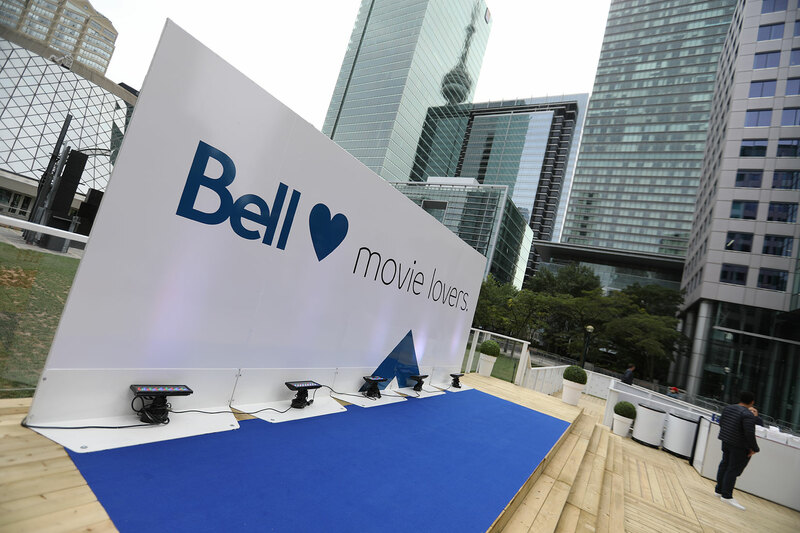 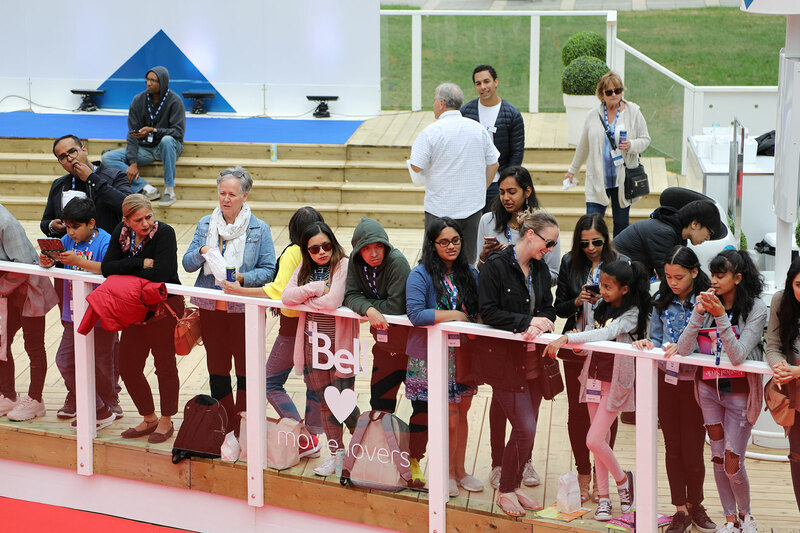 Bell also set up a step and repeat wall for photo opportunities with its Tiff theme “Bell loves movie lovers”. 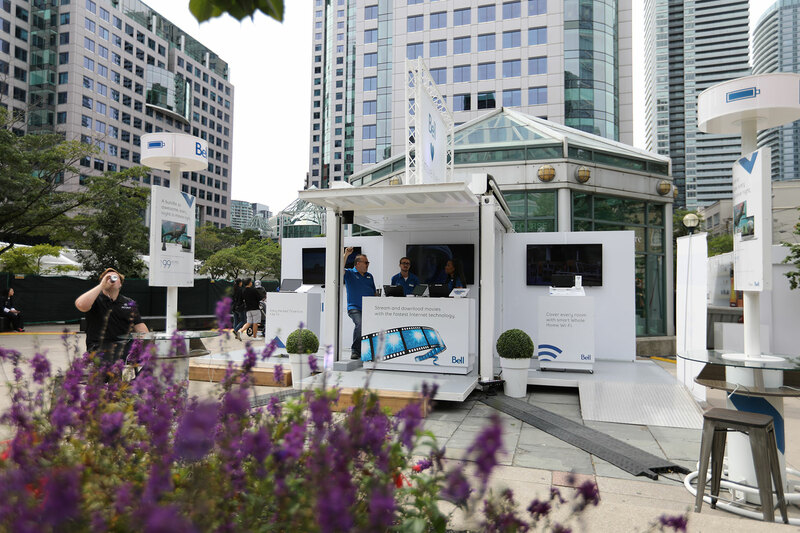 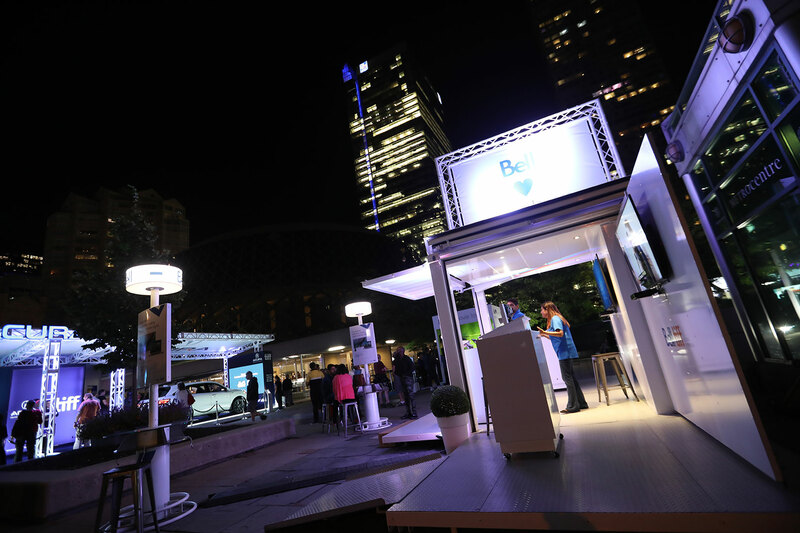 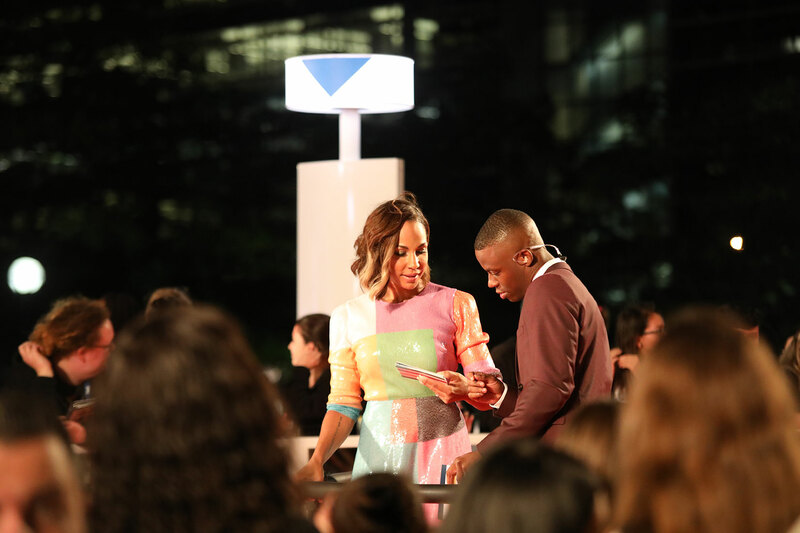 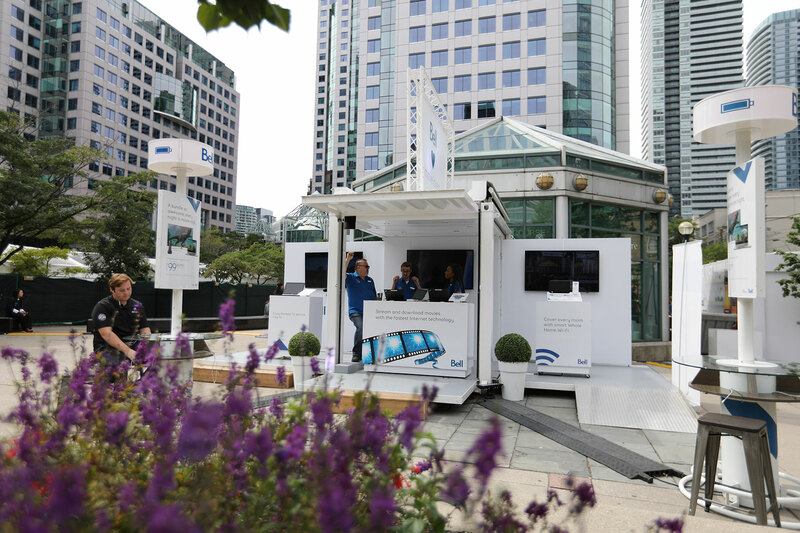 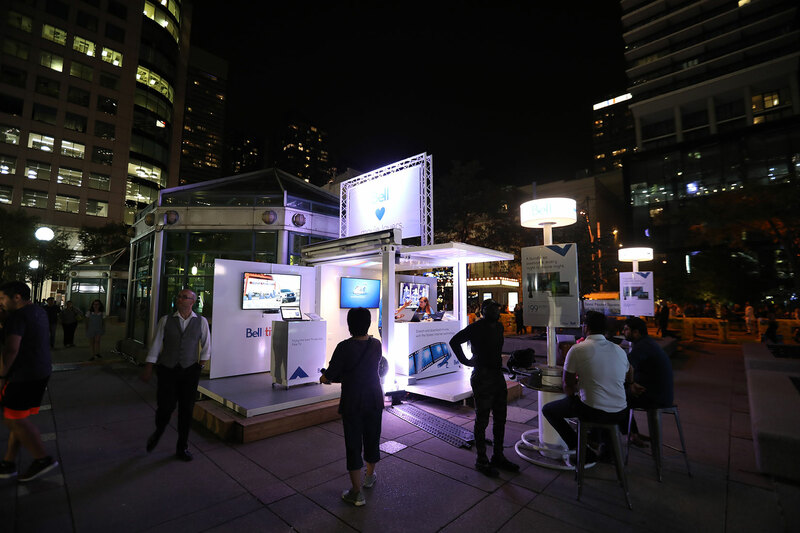 Bell has a long history of supporting Tiff and creating custom made immersive marketing experiences using the latest in mobile architecture fabricated by Loki Box Design.